Written By: Joshua Z. Rappoport, Ph.D. Your body has trillions of cells, and each one has the complexity and dynamism of a city. Your life, your thoughts, your diseases, and your health are all the function of cells. But what do you really know about what goes on inside you? The last time most people thought about cells in any detail was probably in high school or a college general biology class. But the field of cell biology has advanced incredibly rapidly in recent decades, and a great deal of what we may have learned in high school and college is no longer accurate or particularly relevant. 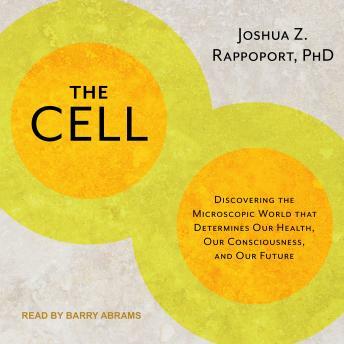 The Cell: Inside the Microscopic World that Determines Our Health, Our Consciousness, and Our Future is a fascinating story of the incredible complexity and dynamism inside the cell and of the fantastic advancements in our understanding of this microscopic world. by Joshua Z. Rappoport, Ph.D.